I’ve had several discussions recently about the availability of vegan options at restaurants in and around Dallas. The tune of the discussion has definitely changed from one of far and few between to an abundance of choices. Thus the reason for this on-going monthly post. I’m often surprised to hear that it’s hard to eat-out vegan in Dallas. 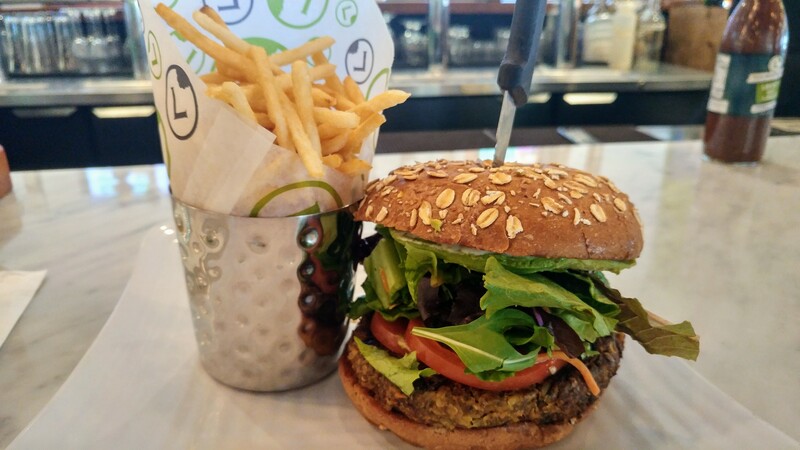 If eating vegan means going to an all-vegan restaurant, then yes there are some limitations. You can find a list of such options here http://dallasvegan.com/?page_id=96. On the other hand, if you’re like me and need variety for you and the omnivores in your life, I’m here to inform you it’s out there. Not only is it out there in abundance, but it’s delicious too! Check out what I enjoyed during the month of May. Be Raw, fresh food and juice, http://www.berawfoodandjuice.com/contact.php, happens to be on the aforementioned list. Don’t let the “raw” fool you into thinking their dishes are not rich in flavor and filling. Despite looking like a hot mess, the Taco Salad (pictured) is not only a favorite of mine, but you’d never guess the raw crumbles, standing in for “meat”, are just that, raw. I could eat this everyday. 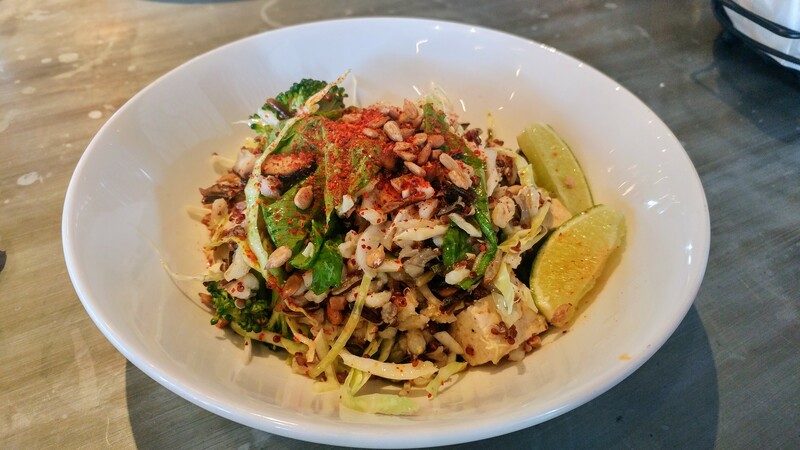 My unexpected find this month was at new Dallas Design Restaurant, Wheelhouse http://wheelhouse-dallas.com. Upon reading about the indoor/outdoor environment, I took advantage of a sunny breezy afternoon and headed there for a cocktail. Cocktail in hand, I couldn’t help but notice a few vegan friendly items on the menu. 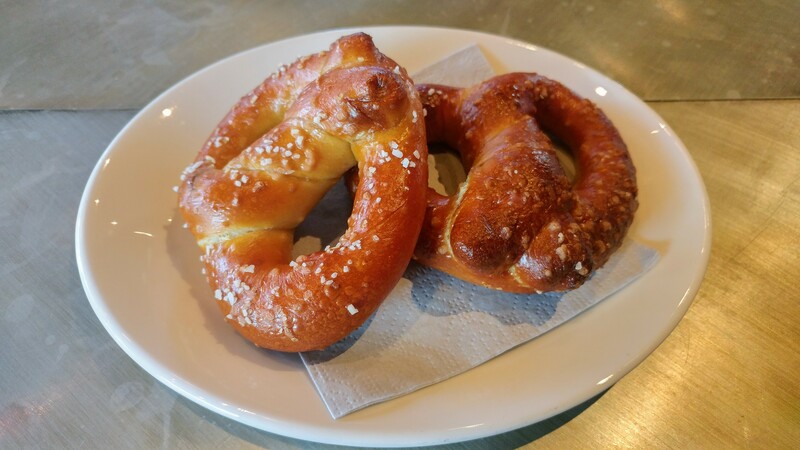 Starting with the Housemade Pretzel, I verified with the chef that it was indeed vegan (skip the accompanying mustard sauce as it contains mayo). Delivered as a single-size serving, the doughy pretzel with a crusty exterior made for a delicious snack to accompany my drink. I’m seeing more and more Grain Bowls on menus these days, including this beauty at Wheelhouse. 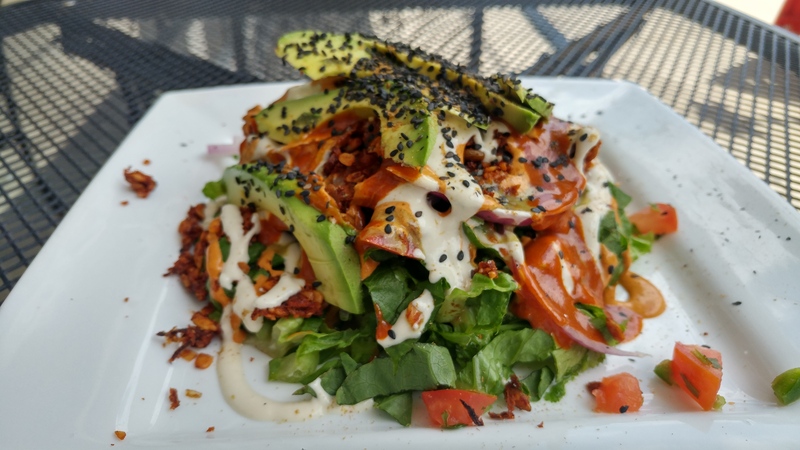 Loaded with quinoa, wild rice, tofu, shiitake, sunflower seeds, and a ginger-lime vinaigrette dressing, there nothing not to love. The ginger-lime vinaigrette awakens this dish for what could be an array of dullness. It’s a perfect main meal for our soon-to-be summer months. There’s a few other dishes on the menu that can be made vegan and based on the two I’ve already tried, I can’t wait to go back. It doesn’t hurt either this place is a shoot shot down the street from my shop, MendRt. Last Friday, I drove five hours to Dallas with zero stops and zero food. I arrived home about lunch time and the only thing that sounded good to my hollow stomach was a veggie burger. Taking no prisoners, I headed to Liberty Burger, http://givemelibertyburger.com, for the Woodstock Burger. Ditch the cheese and sauce and you’ve got yourself one damn good burger. I highly recommend you pair it with the skinny fries and a Dallas Blonde. You’re welcome. I live in downtown Dallas and if you haven’t noticed or heard, downtown is under a major renovation and transformation. Growing pains can certainly be taxing, but it can also bring forth positive change. One change I’m happy about is my new neighbor Bread Zeppelin http://breadzeppelinsalads.com. It’s easy to fall in love with 40 ingredients and 20 dressings at your finger tips. Granted not all vegan, but you’d be hard pressed not to find something that works. I choose the Kale-Ifornia sans the pecorino. 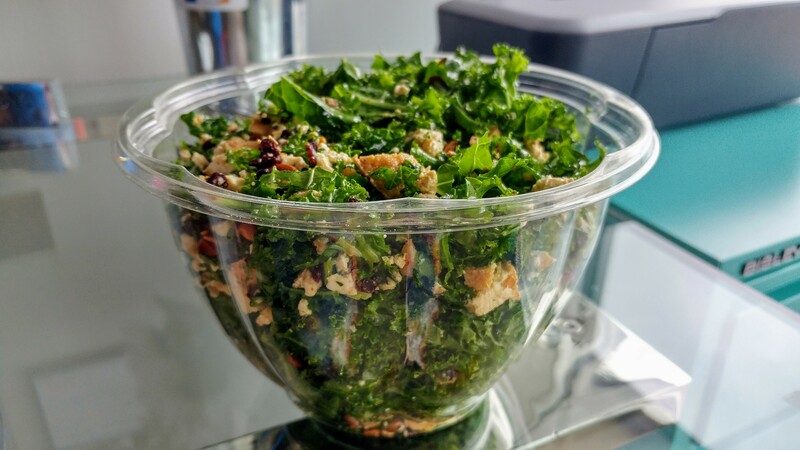 It comes with kale, roasted pumpkin seed, currants, and an olive-oil and lemon dressing. I added tofu, cooked perfectly, to the mix and it was delicious. So there you have it, another month of easily eating deliciously vegan in Dallas.